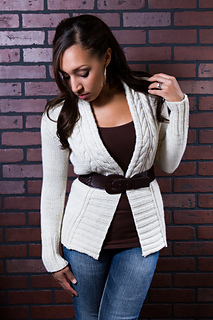 Twylem is an elegant yet cozy, slightly oversized cardigan featuring cascading cables, reverse stockinette, and multidirectional rib details which all come together to create a beautiful balance of complementary textures. 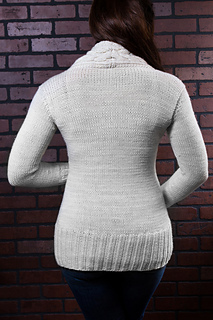 Added July 16, 2013 :: The Stockinette version, pictured in cream, is now available! This rendition of Twylem maintains the original cardigan’s elegant yet cozy appeal while setting the cascading cables and multidirectional rib details against a background of classic stockinette stitch. Anyone who purchases or has purchased this pattern will have access to both versions of the pattern.